The GPB4000 is another On-Stage original - a pedal board for both guitarists and keyboard players. 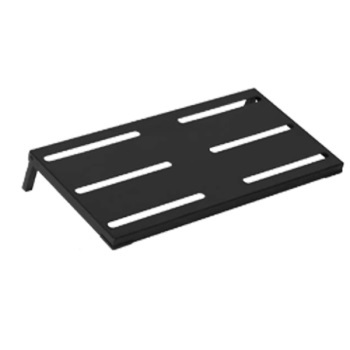 Versatile by nature, this 28” x 14 Â½” pedal board easily holds 20 or more effect pedals and conveniently fits over all On-Stage X-style keyboard stands - including 2nd and 3rd tiers. Designed with convenience in mind, the GPB4000 has enough Velcro to cover both board and pedals, non-slip rubber to protect the corners and a slotted surface for painless cable management. It also comes with its own heavy-duty gig bag, which is insulated with foam padding. Its inner pocket is perfectly-sized for all manner of cables and accessories and a convenient carry handle is ideal for getting your gear from Gig A to Gig B.